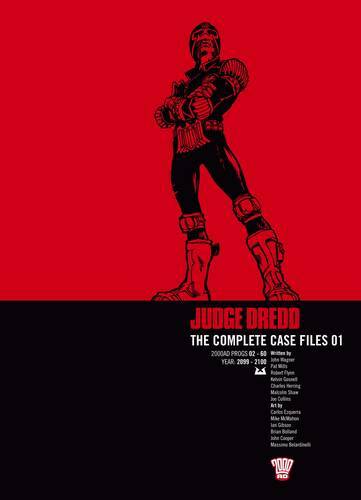 The story of future lawman Judge Dredd continues in this third book collecting together his adventures in chronological order. 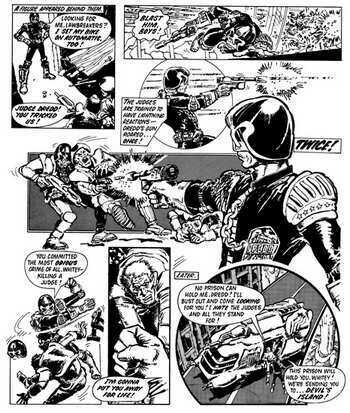 This bumper volume features many of Dredd's most exciting cases including the first appearance of Judge Death and Psi Judge Anderson and the return of Satanus first featured in the epic Cursed Earth saga.Featuring the writing talents of comic legends Pat Mills (Slaine) and John Wagner (A History of Violence), this volume also features the art of Ian Gibson (The Ballad of Halo Jones), Dave Gibbons (Watchmen) and Brian Bolland (Batman: The Killing Joke) amongst many other artists. 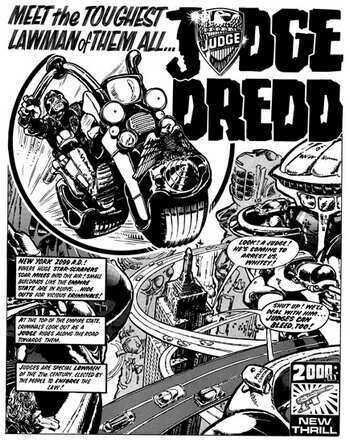 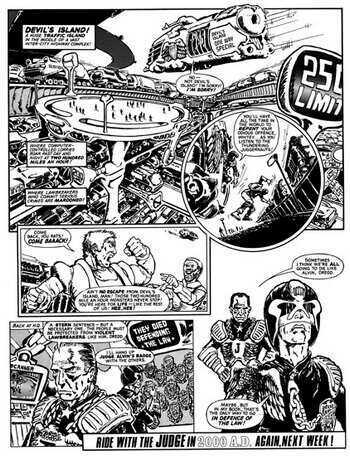 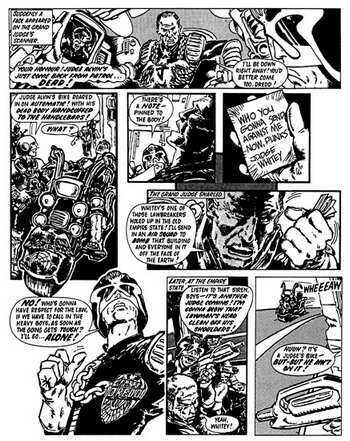 Judge dredd was something I discovered while rooting through my uncles comics back in the late 80's. 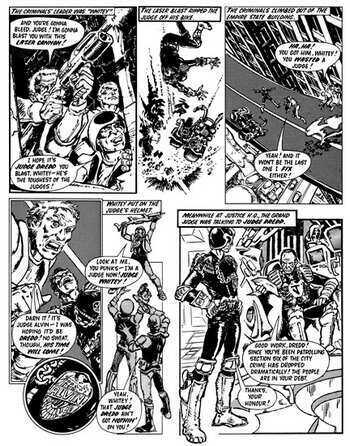 It was my first introduction into 'mature' comics and made me appreciate the industry.